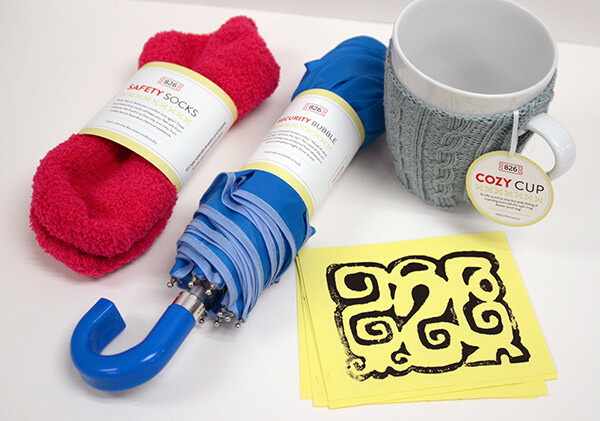 826 National is a nonprofit organization dedicated to helping students, ages 6–18, with expository and creative writing at eight locations across the USA. 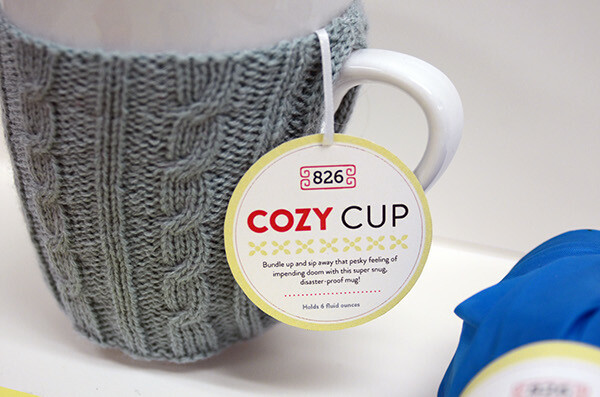 The eight chapters that make up 826 National include retail stores that relate to a characteristic unique to the city. 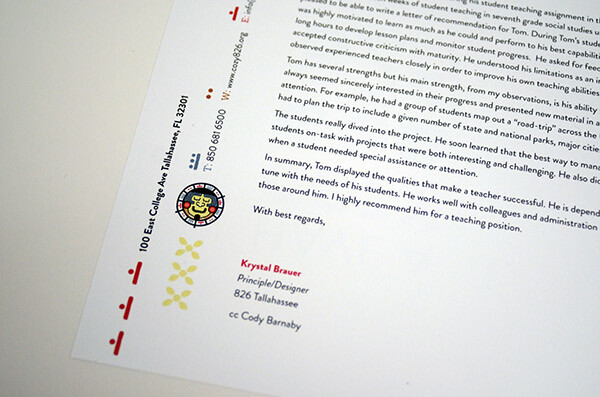 My task was to create a new chaper of the 826 National brand based on a city randomly assigned to me, which was Tallahassee, Florida. My research on the state of Florida lead me to many news articles about bizarre and outlandish occurances that have recently been taking place in the state. Tallahassee seemed mostly exempt from this phenomenon, giving me the idea of it being a safe haven from the strange happenings taking place in the rest of the state. 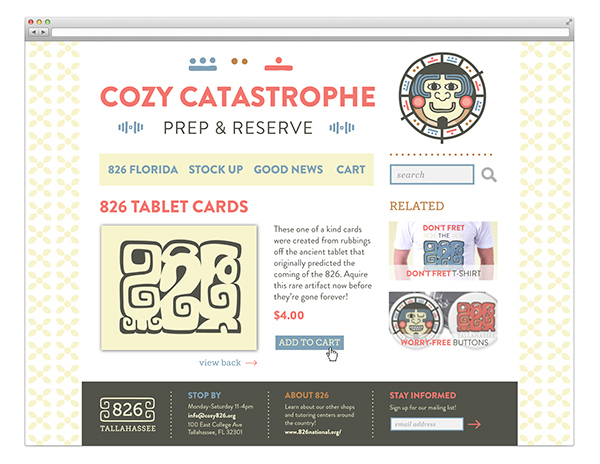 I discovered the expression "cozy catastrophe" while researching apolcalypic fiction, which fit my previous ideas and served as the lauching point for the final concept of 826 Tallahassee, a novelty store with a humorous range of seemingly ordinary items that promise to keep you safe from anything an impending apocalypse could bring. 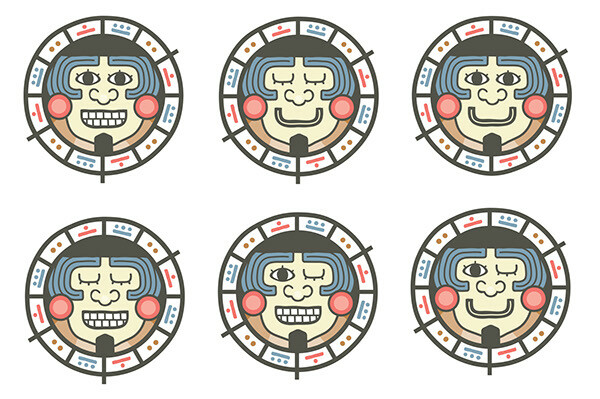 The final design work was inspired by ancient Mayan and Aztec calendars and numerals. 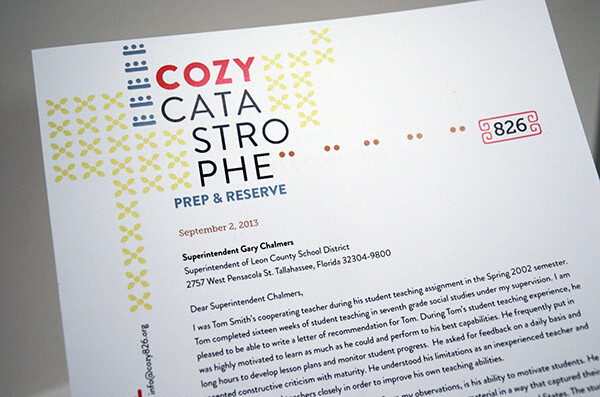 A system of friendly characters were designed to imply a sense of ease and relaxation, along with a custom 826 emblem. 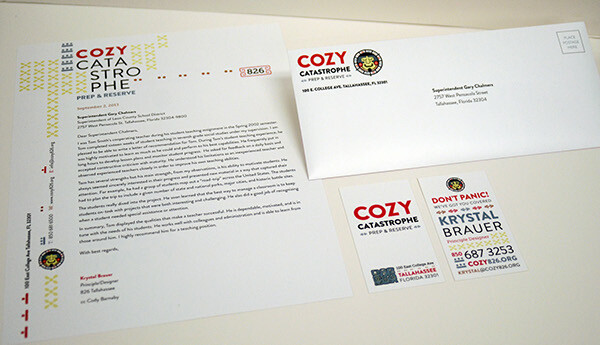 The stationary and materials designed for 826 Tallahassee: Cozy Catastrophe Prep & Reserve include a letterhead, business card, envelope, storefront and website mockup, as well as a line of potential products. 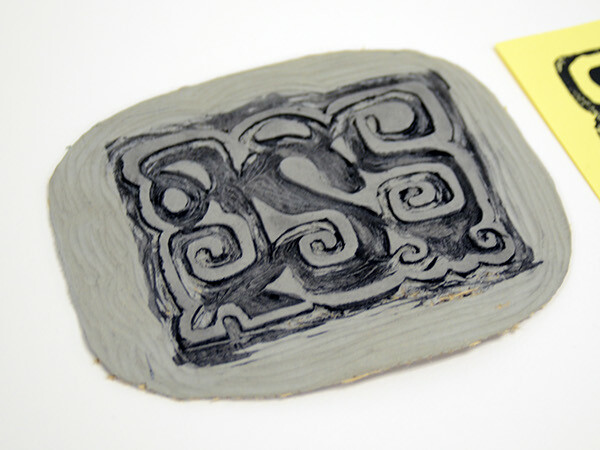 826 National is a nonprofit organization dedicated to helping students, ages 6–18, with expository and creative writing at eight locations across the USA. 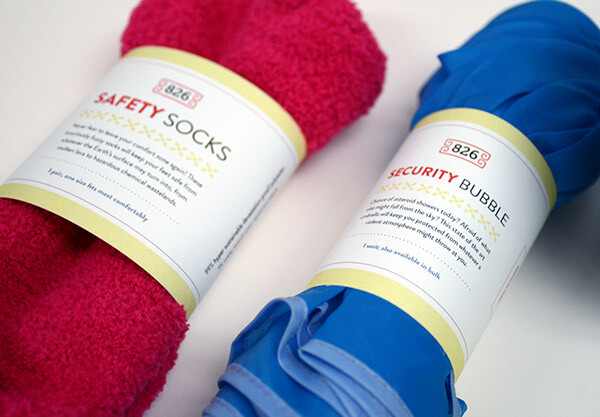 The eight chapters that make up 826 National include retail stores that relate to a characteristic unique to the city. 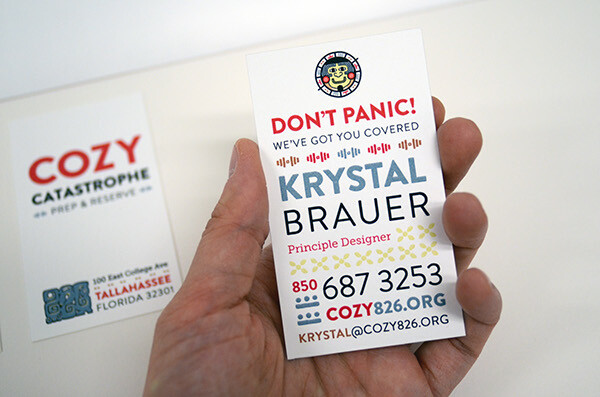 My task was to create a new chaper of the 826 National brand based on a city randomly assigned to me, which was Tallahassee, Florida. My research on the state of Florida lead me to many news articles about bizarre and outlandish occurances that have recently been taking place in the state. 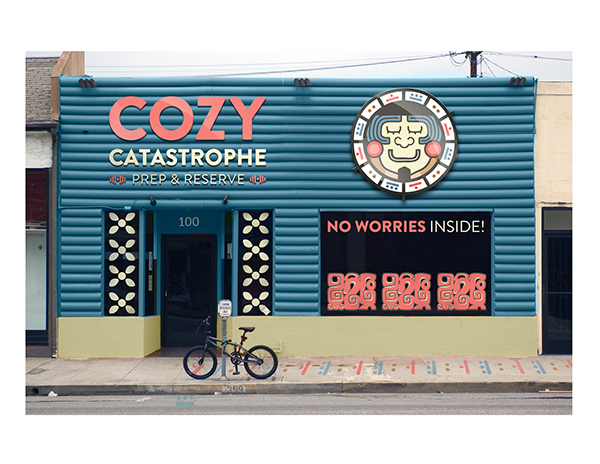 Tallahassee seemed mostly exempt from this phenomenon, giving me the idea of it being a safe haven from the strange happenings taking place in the rest of the state. 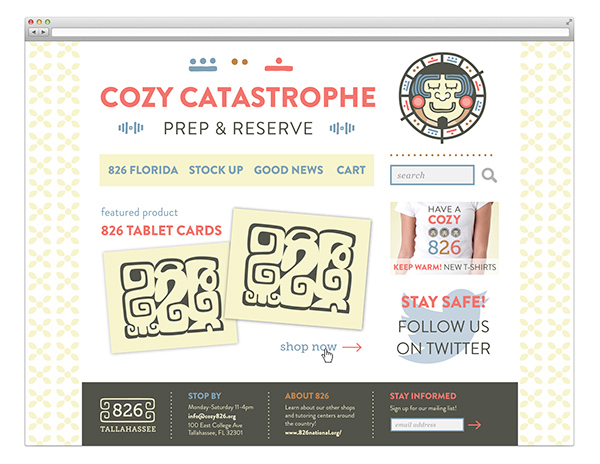 I discovered the expression "cozy catastrophe" while researching apolcalypic fiction, which fit my previous ideas and served as the lauching point for the final concept of 826 Tallahassee, a novelty store with a humorous range of seemingly ordinary items that promise to keep you safe from anything an impending apocalypse could bring. 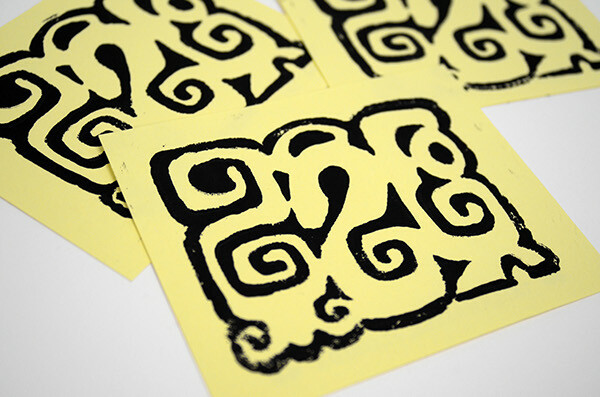 The final design work was inspired by ancient Mayan calendars and numerals. 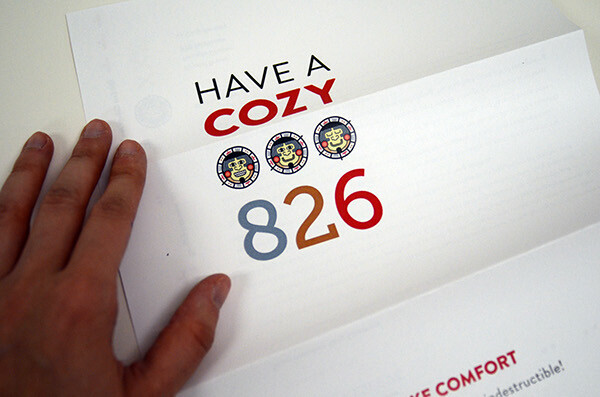 A system of friendly characters were designed to imply a sense of ease and relaxation, along with a custom 826 emblem. 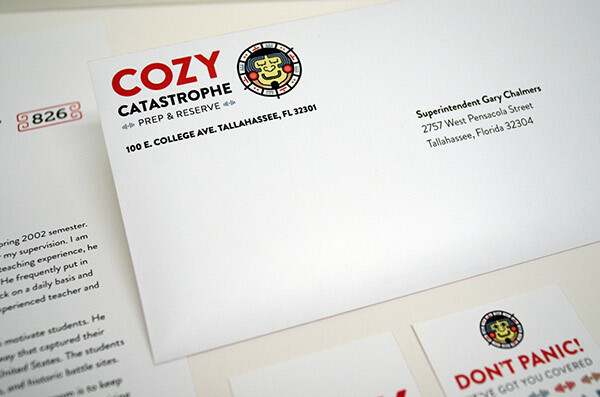 The stationary and materials designed for 826 Tallahassee: Cozy Catastrophe Prep & Reserve include a letterhead, business card, envelope, storefront and website mockup, as well as a line of potential products.